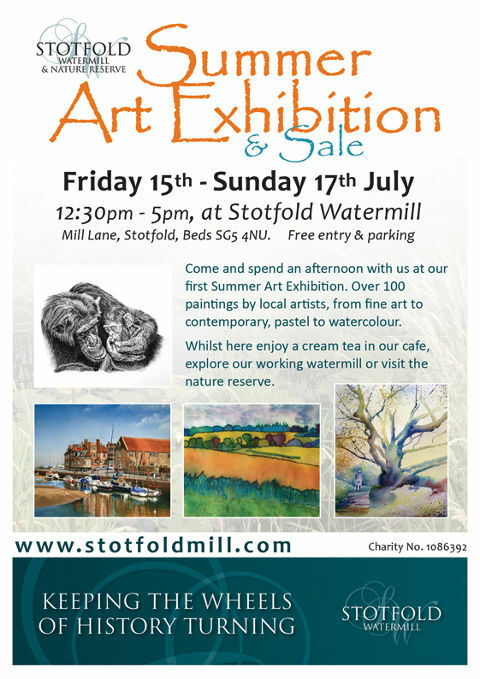 If you are at a loose end over the weekend 15 to 17 July why not visit Stotfold Watermill, Mill Lane, Stotfold, Beds, SG5 4NU and have a look at the Art Exhibition that they are holding. The Mill will be open from 12:30pm to 5pm with free entry and parking. The cafe will also be open so you can enjoy a cream tea while you are there. I shall be exhibiting four of my paintings, three watercolours and a pastel so if you want to see them drop in and have a look. 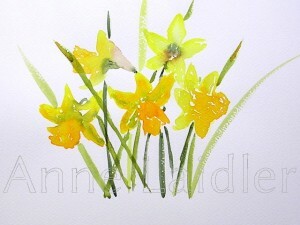 I just can’t help myself whenever I see daffodils I want to paint them. Last week someone left a vase with a few daffodils in the workshop at our Art Society – I just had to paint them! 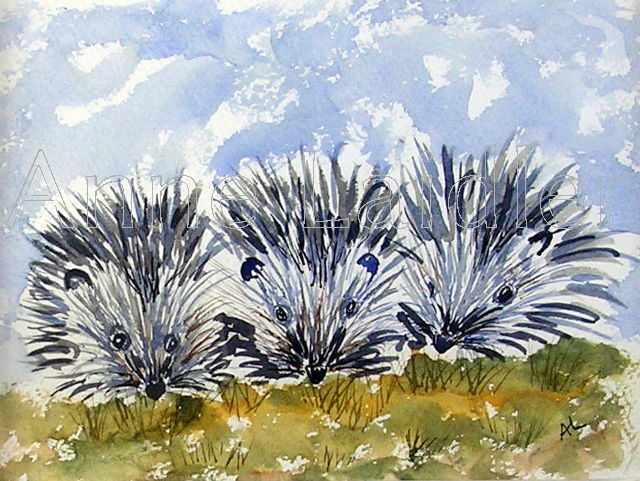 No pre drawing just straight in with the brush. 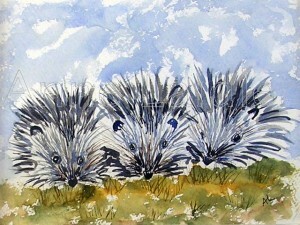 (With thanks to Madonna’s Vogue for this blog entry’s title!) 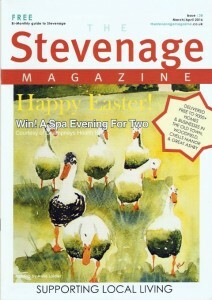 I’ve been chosen as the featured artist for the press release for Stevenage Art Society’s Spring Exhibition. 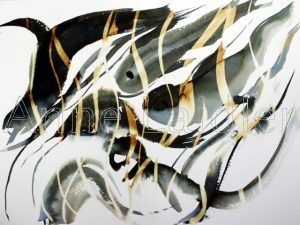 The details of the exhibition will appear in a few publications in Stevenage. My recent painting of geese entitled “Where are we going?” is on the front cover of the Stevenage Magazine – Fame at last!! The exhibition which is at The Denington Galleries, Springfield House, High Street, Stevenage runs from Saturday April 16 until Saturday April 30 2016 and is open from noon to 4pm Monday to Friday and 9am to 5pm Saturdays. Admission is free! 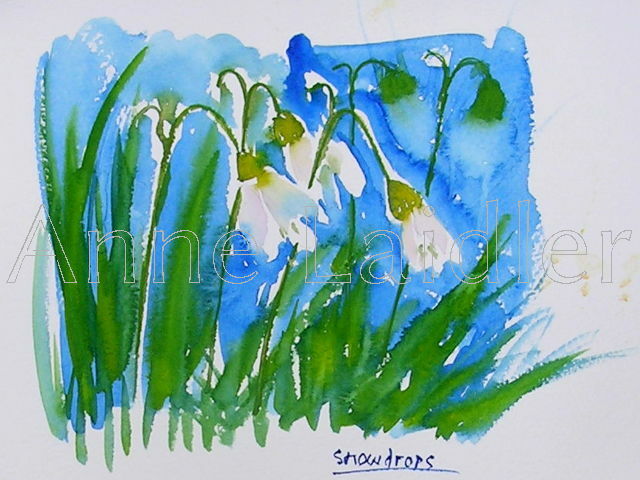 This weeks subject for my classes is Snowdrops and over the past few weeks ideas about how to paint them have been going through my mind. At Art Club I had finished the piece I was working on and wanted something to do for a few minutes. Using a scrap piece of paper I quickly drew out three snowdrop flower heads. 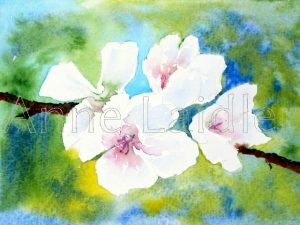 I wanted something a bit different behind the flower heads so I used phthalo blue which is also called “intense blue” to paint a rough background. I then used cadmium yellow straight onto the paper and voilà green leaves removing the need for mixing a green. I damped the heads of the flowers with clean water and added a small amount of purple lake to give the flowers a bit of shape – as you can see the blue decided to run as well! 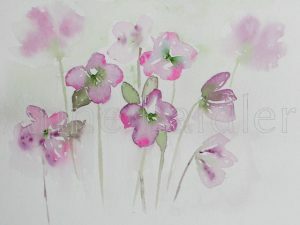 The two “ghostly” flowers in the top right were drops of water which got there by accident – oh well, let’s improvise and add a stalk!!. All in all quite an interesting experiment – a bright blue background which is a bit unusual and green leaves without the need to mix any colours in the palette! Total time taken roughly five minutes! I’m excited to tell you that I have recently been accepted as an art tutor for Letchworth Settlement, an adult education centre in Letchworth. 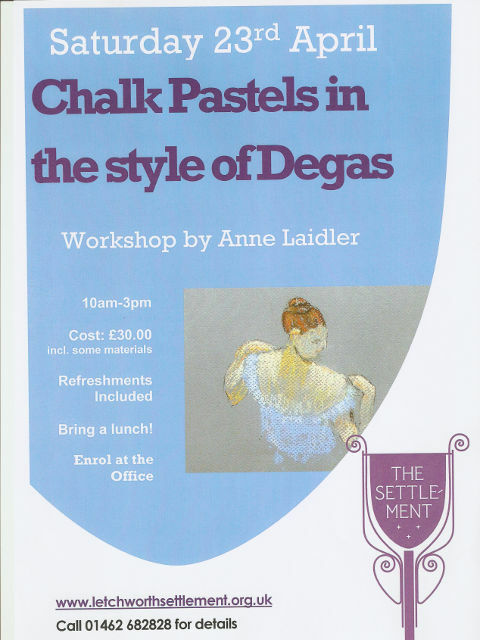 The first bit of tutoring that I’m going to be doing for them is an all day Pastel Workshop – Chalk Pastels in the Style of Degas. There are some details of the workshop on this page of their website, if you want any more information you can always email me. 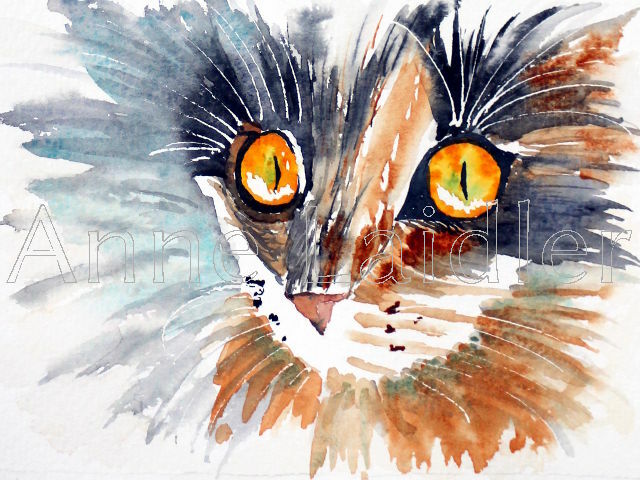 The price for the workshop is £30 which includes some pastel paper, fixative and charcoal. 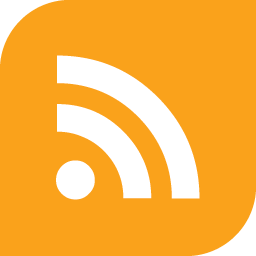 Refreshments will be provided but you will need to bring your own lunch – the site is in a residential area and there are no local shops to pop out to although there is free parking! Booking for the workshop is by phone on 01462 682828 rather than by using their website. I am not involved in the booking process but it would be nice to hear from you if you have booked. 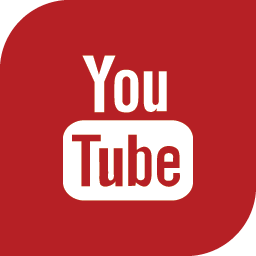 Watch this space for further tutoring details at the Settlement. Don’t worry though all this won’t affect my normal classes which will be continuing as usual.